Tiefenbacher law firm specializes in commercial law. Founded in Heidelberg in 1980, the law firm now employs 160 people, including more than 40 lawyers, at seven offices and is one of the leading SME law firms in Germany. The law firm develops innovative legal solutions for owner-managed SMEs, listed stock corporations, financial service providers, contracting authorities, and private individuals. User administration Users were created by synchronizing with Active Directory in MailStore Server. 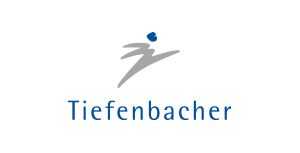 Archiving method Tiefenbacher uses MailStore Server to archive all incoming and outgoing emails (journal archiving). This method has the advantage that the integrity of the archive can be backed up and emails cannot be manipulated before they are archived. This ensures compliance with legal requirements. Businesses can benefit from the legal, technical, and financial advantages of modern, secure email archiving with MailStore Server. The software creates 1:1 copies of all emails in a central email archive to ensure the security and availability of any amount of data for years to come. Users can still access their email using Microsoft Outlook, MailStore Web Access, or mobile devices such as tablets or smartphones, and search through them at breathtaking speed. 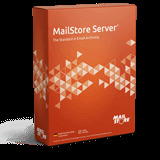 MailStore Server combines powerful technology with low cost and user friendliness. Over 60,000 companies of all sizes across all sectors currently use MailStore Server for email archiving. The 30-day trial version of MailStore Server can be installed in just a few minutes on any Windows PC (or virtual environment) and tested immediately.